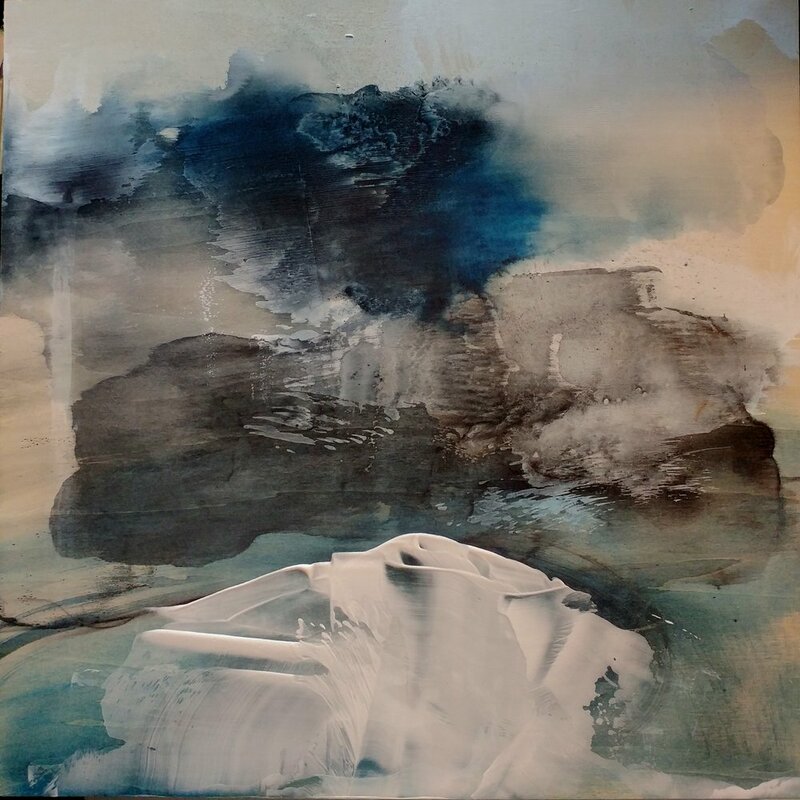 Amie Oliver creates drawings and paintings that “catalog time, weather, and the subtle and profound impact of the elements on our material world.” She builds grounds and surfaces by layering and mingling ink washes on smooth, water-resistant papers, allowing the materials to be manipulated both by her mark making and the ever-changing humidity. 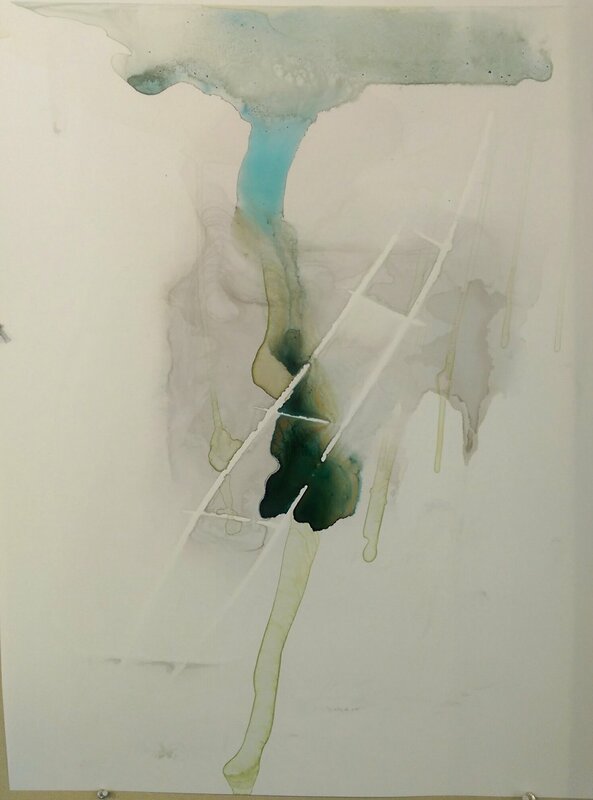 Through saturated conduits she forms passages where ink can diffuse, stream, puddle, and evaporate. 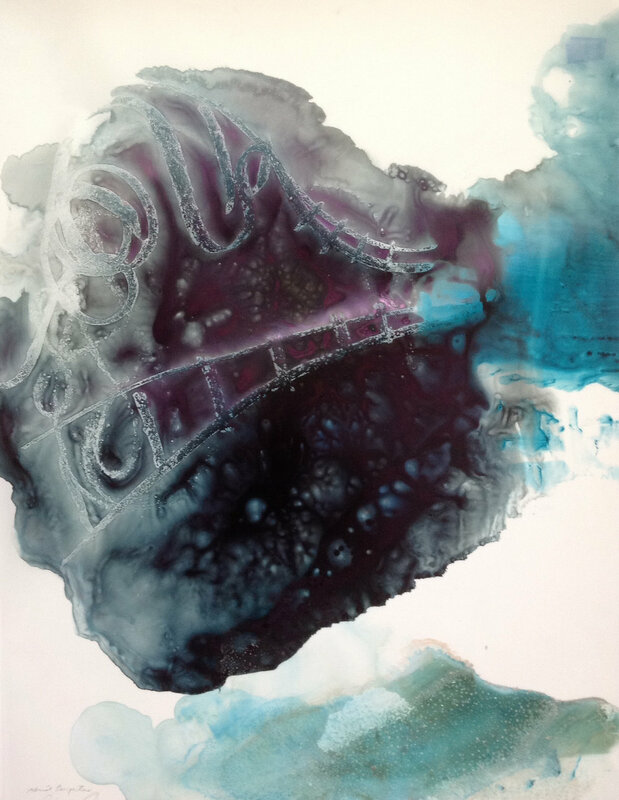 The resulting surfaces are fluid, opaque and transparent, and serve both as records of atmospheric conditions and as backdrops for expressive drawings deeply rooted in personal experience. Caroline produces videos for LookSEE, shedding light on artists’ ways of thinking and making.